In the modern and post-modern society, there is shifting that people nowadays tend to put their “trust” in a friendship-based relationship rather than the kinship-based relationship (Giddens, 1991). This concept is aligned with a concept in which relationship in social media platforms is built on the friendship-based relationship since people aim to build an equal relationship in the cyberspace, which they could gain from a friendship-based relationship (Trepte & Reinecke, 2011). How about the kinship-based relationship in social media then? 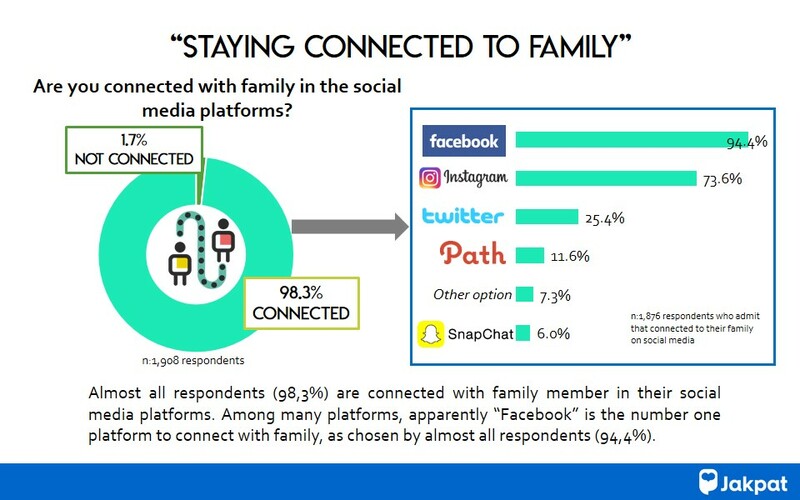 Regarding to this matter, Jakpat conducts a survey in order to see how Indonesian’s connection with their family members in social media platforms. The Family Member: Which Family Member They are Connected With? Comfortness: How Comfortable They are to Connect with Family Member in Social Media? 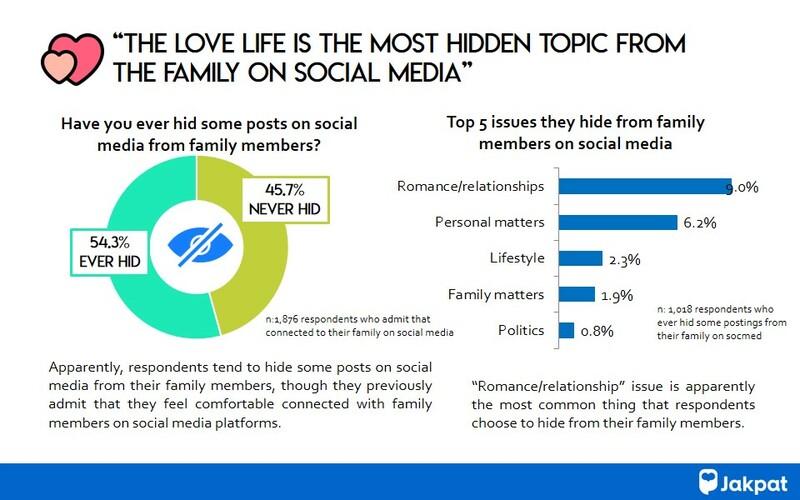 Hidden Posting: What Kind of Post Do They Hide from Family Member? Blocked Account: Why Do They Block Family Member? 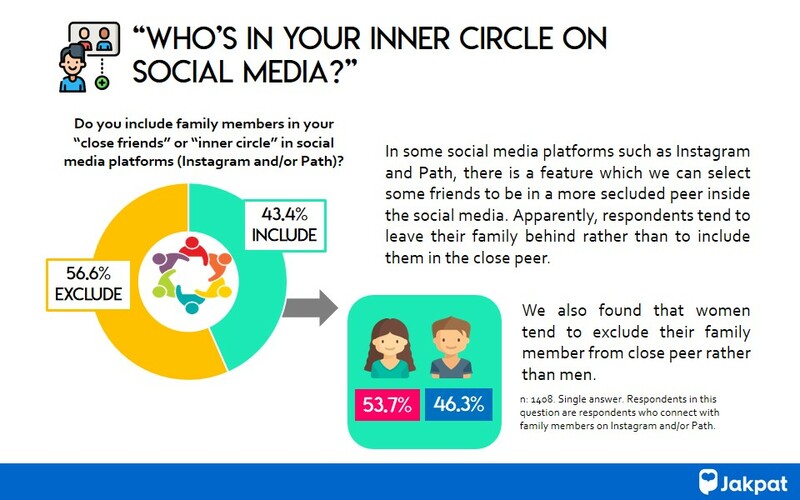 Close Peer: Do They Include Family Member in the Social Media’s “Close Friends” and/or “Inner Circle”? This entry was posted in Lifestyle, Mobile on November 9, 2018 by Mashita Fandia.